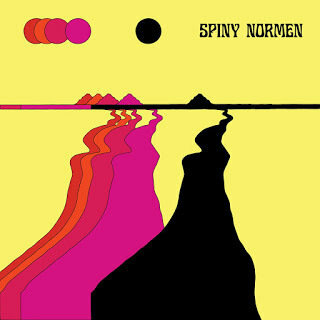 Spiny Normen is an incredible mid-70's Houston hard rock, progressive, psychedelic rock band (yes, all that and more) that featured mellotron, vox jaguar, crunchy, heavy guitars, flute with echo effects, and lots more. A totally lost relic this album is, recorded at the community college and never released. This band has a very English, dark, mysterious and proggy but very acid-drenched feeling to it. Spiny Normen will be available on LP, CD and download on February 23rd, 2018 via Riding Easy Records. Pre-orders are available at RidingEasyRecs.com.